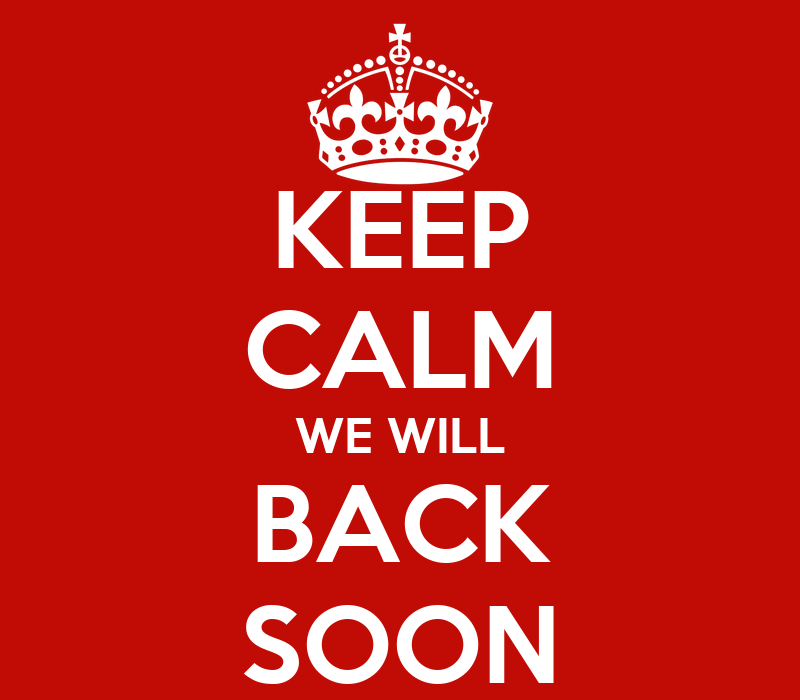 Sunshine’s Reflections will be back on Monday, March 10, 2014. Taking a much-needed spiritual retreat. Be blessed and continue reading and studying God’s word. Pray daily. Encourage others. Show love so that people can see the love of Christ in you. Good morning! Happy Wednesday to you all! I pray your week has been going well. God has been speaking to me about positioning. Not only in my personal walk with Him, but to encourage others to get in the right position. The body of Christ must position itself to go deeper in Christ. Kneeling represents submission to God. Being submissive to God is the state of being obedient. When you submit to the will of God you are accepting the authority He has over your life. In the natural, it’s so easy to get away from kneeling because our knees hurt or we have a bad back, but in the spiritual kneeling signifies so much more to God. When we kneel before God we are telling Him that He is in control and that we are willing and ready to do His will. When was the last time you were in the position of submission? When was the last time you knelt down before the Lord and prayed? I must admit, even I’ve grown accustomed to standing or sitting when it’s time to pray. Yet, God has been showing me the power of positioning myself to hear from Him. 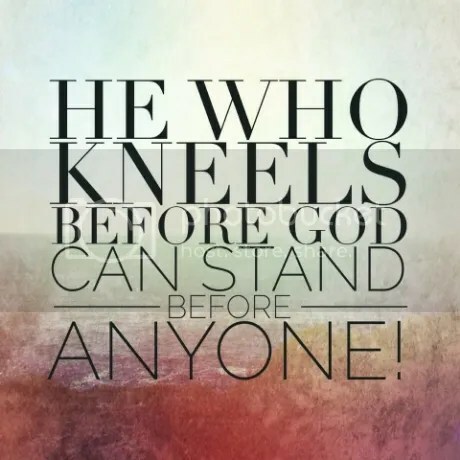 Now don’t get me wrong there is nothing wrong with standing or sitting while praying; however, it’s important to position yourself lower than God so that He can see your reverence and submission to Him. Are you in the position of submission? I find that when I take the time to get down and kneel I can almost feel Jesus wrap His arms around me to say, “It’s okay Nicole, I am in control.” It’s time to get in position. There is a shift in the atmosphere and we have to take our schools back, take our children back, take our community back, take our lives back and it will require intentional prayer submissive to the Lord. Will you fall to your knees and pray? I encourage you to get in position. When you kneel before an ALL POWERFUL GOD, He will cause you to stand before great men and conquer any situation that you are faced with. Good morning. I pray all is well. This is the day the Lord has made and I will rejoice and be glad in it. 23 Then He said to them all, “If anyone desires to come after Me, let him deny himself, and take up his cross daily,[a] and follow Me. Nowadays, almost everyone has a cell phone. Although things like the style of the phone and monthly cost are important, most people want to make sure they have good reception. It doesn’t matter if you have the best phone in the world, if you can’t get clear reception. When reception is bad, one will move closer to a window or move around in the room in an effort to locate a good signal. They are trying to get in the proper position to use their phone. During this Christian journey, it’s important that we are in the proper position to hear from God. When we go to God we must go in a position of humility. The lowest position to signify humility is lying prostrate. When we humble ourselves and lay before God we can hear from Him more clearly. We can eliminate the distractions of others if we get before God and lay at His feet. It’s time to get in the proper position to hear from God. 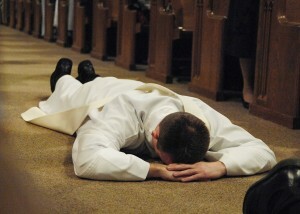 In your private worship time, I encourage you to lay before God. He has something to say to you, but right now you are distracted. Someone or something has you high and puffed up. Your reception is going in and out. You love God; however, you have forgotten how to go to Him in humility. In the natural, you can lie prostrate and in the spiritual realm, God will recognize your position of humility as a symbol of denying oneself. He can then begin whispering in your ear things that you would not otherwise hear. 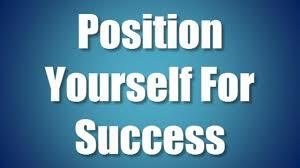 Are you ready to get in the proper position? Have a blessed day humbling yourself before the Lord. God has equipped every believer with at least one spiritual gift. It is our responsibility to use whatever gift God has given us to serve others. In order to do this effectively we must use our gift the way God intended us to. It’s time to get in position. God has shown me the misplacement of spiritual gifts is prevalent in the kingdom of God. What is the misplacement of spiritual gifts? I’m glad you asked. It’s when a person is using their spiritual gift in the wrong place. It’s the improper use of a spiritual gift. Let’s look at an example of a school teacher. What would happen if a French teacher decided to switch places with a Chemistry teacher and teach the Chemistry class? Pretty obvious, right? The French would not be equipped to give the chemistry student the adequate teaching they require. They would suffer and the French teacher would suffer because their desire to teach French would not be fulfilled. Not only would the Chemistry students suffer and the French teacher, but subsequently the Chemistry teacher and French students would suffer. This is also true for the body of Christ. When people are misplaced in the church, the body of Christ can suffer in multiple areas. The people who need your service would suffer because you wouldn’t be in position to help them, you would grow frustrated and discouraged because you weren’t producing fruit in the area of ministry you were in, the person who should be where you are would be suffering too and the same for whatever group they are over. It’s a ripple effect. It’s time to get in position. Take time to seek God on when and where you are supposed to serve. We have a spiritual responsibility to use whatever gift God has given us to serve His people. Don’t just settle for serving in a place you weren’t equipped to serve in. Take time to serve where you have been called to serve! Get in position. Make a decision that you will no longer be a hinderance to the kingdom and become a helper by getting in position. In 1884, Judy W. Reed became the first African-American woman to receive a patent for a hand-operated machine used to knead and roll dough. Good morning! Happy Tuesday. I pray you had a blessed weekend and for those who were off on President’s Day I hope you enjoyed it. Yesterday, I heard a preacher explain why a small chain can keep an elephant bound. The question was raised, “Have you ever wondered why an elephant doesn’t just snap the chain off it’s leg and go on about its business?” The preacher went on to say that when the elephant was a baby a large heavy chain was placed around its leg. Initially the elephant tried to escape and couldn’t due to the chain. Even though the elephant eventually grew to become larger and the chain became smaller, the elephant was now conditioned to think that if it had tried to walk away the chain was too heavy for it to go any further. The elephant no longer tried to escape because it remembers its past attempts. What lies have become your reality? The Scripture tells us, “For as he thinketh in his heart, so is he.” The elephant, although it was a large and strong creature, had become conditioned to think that it was weak and could be restrained by a chain that could easily be broken if the elephant only believed. What do you believe about yourself? What small chain has been holding you back from your destiny? Perhaps someone told you that you would not amount to anything? Or maybe you’ve been conditioned to think that you are worthless because someone from your past treated you as such. You don’t believe in marriage because you have been conditioned to think that divorce is the answer. You don’t believe you are called to serve or lead in certain ministries because you have been overlooked and tossed aside. You don’t believe you are qualified for the promotion because you’ve never been promoted before. What small chain is keeping you bound? Don’t you know that you serve a powerful God? And the same power that raised Jesus from the dead lives within you! Don’t allow your former conditioning to keep you imprisoned. It’s time to watch your conditioning. Athletes go through a certain level of conditioning as they prepare to enter their new season. They have to surround themselves with the right type of people, eat the right type of foods, and exercise to condition their bodies and their minds for the approaching season. Before their new season begins they have to believe they are a winner. They can’t win if they don’t first believe. And they won’t believe they are a winner if their surroundings are filled with negative complaining doubters. You can’t propel to the next level if you are bound by chains from your past. It’s time to start preparing for the new season. God wants to elevate you to new heights, but He can’t get you there if you don’t believe. Take time to seek God and examine the way you have been conditioned and ask Him to change the way you think, speak and live. Don’t end up like the elephant, a strong creature bound by his own thoughts. You are powerful. Believe that! Good morning! Happy Friday and Happy Valentine’s Day! I pray you have a blessed day and a wonderful weekend. Spend time reflecting on the love of Christ. He loves you 365 days of the year. Take time to show Him some love as often as you can. Have you ever been around someone and thought only God could love them? I know I have. But guess what? If God loves them, then we ought to love them too. There are times when I know I am unlovable. I may get on someone’s nerves, I may inadvertently offend someone, I may rub someone the wrong way, but that doesn’t take away from how much God loves me. And if God can love me when I’m difficult or unlovable, surely I can love others. The Word of God tells us to LOVE ONE ANOTHER, as Christ has loved us. It doesn’t say be jealous of one another, talk about one another, fight one another, mistreat one another, offend one another, hurt one another, lie on each other, etc. It says, LOVE ONE ANOTHER!! It’s easy to show love to the people who make us feel loved, but a little more challenging or down right difficult to show love to those people who get up under our skin. How can you show love to someone today? I challenge you to show love to the people who appear to be “unlovable”. Be intentional about showing love. Give someone a compliment-it’s free. Celebrate someone’s spiritual gift-it’s free. Give someone a hug-it’s free. Send someone a nice email-it’s free. There are so many things that you can do that won’t cost you a penny, but it will be priceless to the person on the receiving end. Let’s learn to love one another. Happy Valentines Day to you all. Thank you for supporting this blog. I wish you all the love that God can give you! Have a wonderful weekend! Mayor of major city: Carl Stokes, Cleveland, Ohio, 1967–1971. The first black woman to serve as a mayor of a major U.S. city was Sharon Pratt Dixon Kelly, Washington, DC, 1991–1995. U.S. Representative: Joseph Rainey became a Congressman from South Carolina in 1870 and was reelected four more times. The first black female U.S. Representative was Shirley Chisholm, Congresswoman from New York, 1969–1983. U.S. Senator: Hiram Revels became Senator from Mississippi from Feb. 25, 1870, to March 4, 1871, during Reconstruction. Edward Brooke became the first African-American Senator since Reconstruction, 1966–1979. Carol Mosely Braun became the first black woman Senator serving from 1992–1998 for the state of Illinois. 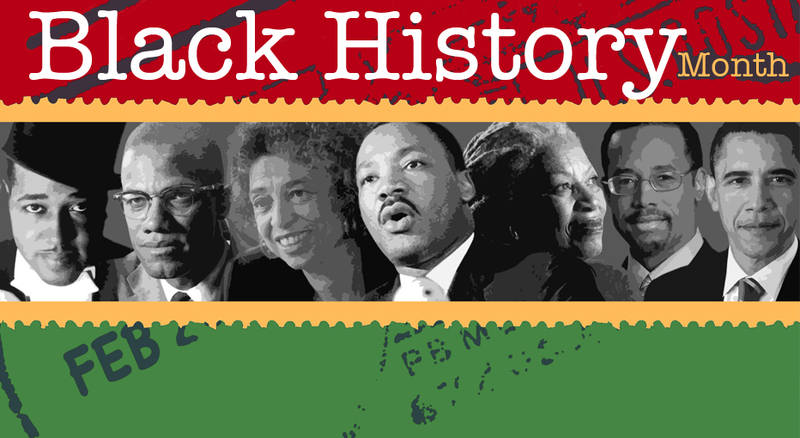 (There have only been a total of five black senators in U.S. history: the remaining two are Blanche K. Bruce [1875–1881] and Barack Obama (2005–2008). U.S. cabinet member: Robert C. Weaver, 1966–1968, Secretary of the Department of Housing and Urban Development under Lyndon Johnson; the first black female cabinet minister was Patricia Harris, 1977, Secretary of the Department of Housing and Urban Development under Jimmy Carter. U.S. Secretary of State: Gen. Colin Powell, 2001–2004. The first black female Secretary of State was Condoleezza Rice, 2005–2009. Major Party Nominee for President: Sen. Barack Obama, 2008. The Democratic Party selected him as its presidential nominee. U.S. President: Sen. Barack Obama. Obama defeated Sen. John McCain in the general election on November 4, 2008, and was inaugurated as the 44th president of the United States on January 20, 2009. Good morning. As a poetess, I wanted to share how I feel as a woman of color. This poem is celebrating the skin that I am in. 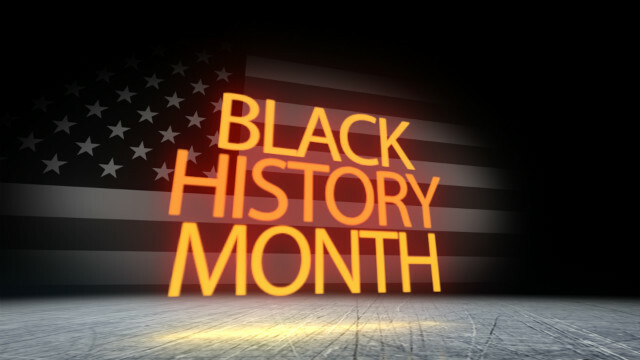 Happy Black History Month. My black is beautiful and I love ME!!! If you are an African-American, learn to love the skin that you are in. Find the positives for being you. God created you. Learn to love yourself more!!! Before he became an NBA legend, Michael Jordan was cut from his high school basketball team. Lewis Howard Latimer drafted patent drawings for Alexander Graham Bell’s telephone while working at a patent law firm. Heavyweight boxing champion Joe Louis helped to end segregation in the U.S. armed forces while serving in the Army during World War II.